His first gig was Michael Jackson at Wembley, since you ask. 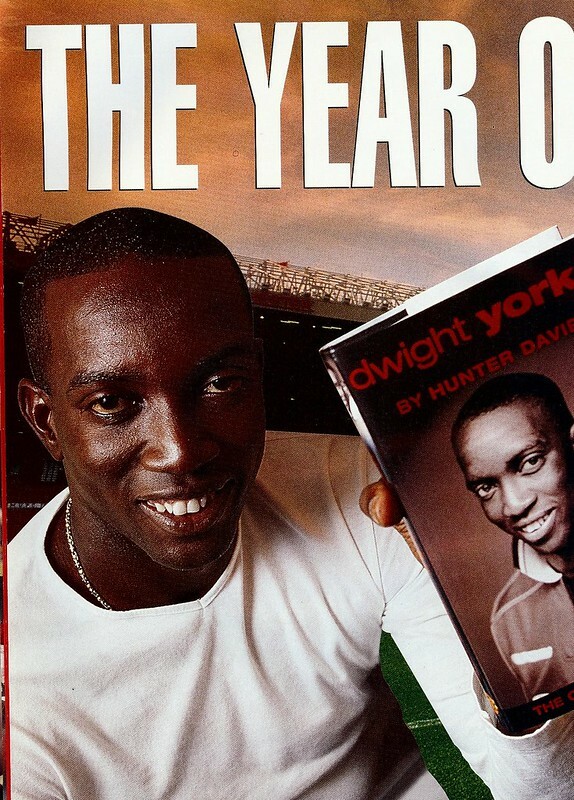 Yorke features prominently in a feature looking at who is the toughest striker to face in the Premier League, winning the vote of Rio Ferdinand and Chris Perry. 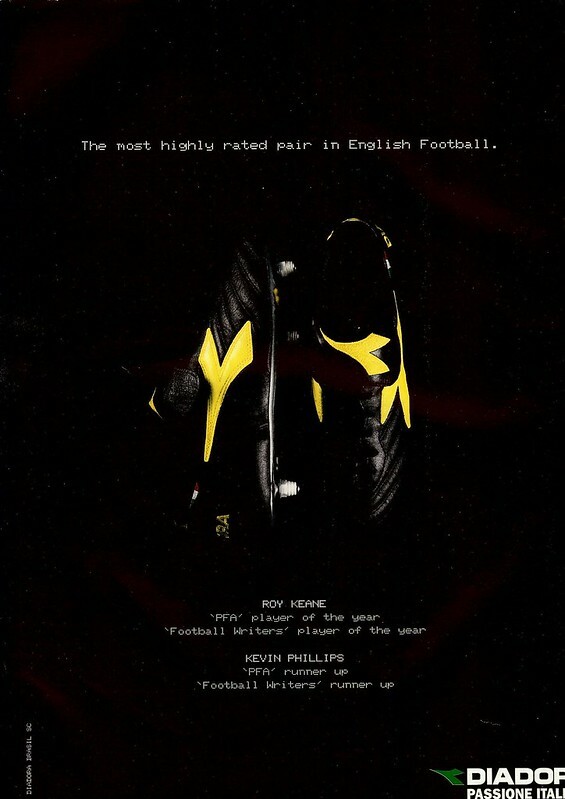 Emile Heskey, recently a new England cap, is interviewed, stating that he wants to go to Euro 2000, which he did. There is also a sidebar listing other players hoping to be in England’s squad : Lee Bowyer, Jonathan Woodgate, Frank Lampard, Michael Ball, Kieron Dyer and Richard Wright. Richard Wright was the only one to go to Euro 2000. August was when the season properly started. For me, it included matches in three different countries. My first match of the month was at Richmond Park, to see St Patrick’s Athletic take on Drogheda United. I was in Dublin that weekend, so thought i’d take in a game. My original choice was Bray Wanderers v Boehmians, but they moved it from the original date, and I wasn’t able to go to it. The match at Richmond Park, was the same score as my previous visit in 2010 ………. 0-0. I should probably be banned from attending matches there. The following weekend, it was Shamrock Park, to see Linfield and Portadown draw 1-1. The Irish League season, was finally up and running. Three days later, was a match that should have been played the previous season, the re-arranged World Cup Qualifier between Northern Ireland and Russia. That weekend, I was in Edinburgh, primarily for the festival, but I always like to take in a game while i’m there. The SPL Fixture Computer gave me Easter Road for a second successive year, the visitors this time being Dundee United. My final match of the month saw bottom placed Linfield take on Glentoran, in a 0-0 draw. That is not how I imagined August would end. The 2012-2013 season couldn’t end soon enough for me. A couple of months later, refreshed and ready for the new season, I headed to Windsor Park in early July to see Linfield face IF Fuglafjordur in the UEFA Cup, winning 3-0 to secure a place in the next round. Two weeks later, I was back at Windsor Park for UEFA Cup action, with Linfield once again defending a lead from the away leg. Unfortunately, it wasn’t to be, as Skoda Xanthi ran out winners after extra-time. Good to be getting back in the match going habit. I’d been meaning to visit North Street for a few weeks, as it is a good place for Graffiti Spotting, and there is usually a frequent turnover of work, especially at Garfield Street. However, I spotted some pictures on Twitter from an account called @seedheadarts of new Street Art in the North Street/Garfield Street Area. Naturally, I went out to investigate. Headed out on Tuesday and a lot of it was still a work in progress, so I headed back out today to get some photos. Apologies for the quality of the photos. Unfortunately, the photo positions I wanted were impossible due to parked cars. Some of the artists involved in this are Fritz and Kev Largey. Under normal circumstances, I wouldn’t have bothered with today’s game, but today wasn’t normal circumstances, as David Jeffrey took charge of Linfield for the last time, after 17 years and 4 months. We might have had differences of opinion regard tactics, team selection and transfers through the years, but his service and success he’s brought to the club as a player and in this spell as manager, he deserved the courtesy of me going to his last game. Plus, i’d already bought a ticket two weeks ago, so I had to go. With the title gone on Tuesday, today was all about signing off with a win. It started off as end of season stuff. before Linfield came into it, making the most of their left sided players in the first-half, with all of the good play coming down that side. A goal came inside the first ten minutes when a cross from the left was scuffed in by Mark McAllister. Soon afterwards, Glenavon equalised. I couldn’t fully see their goal due to latecomers standing in my road trying to decide where to sit. Within minutes, Linfield were back in front when a cross (from the left) was finished by Ross Clarke, getting a long overdue start. Clarke was fantastic today, running at Glenavon’s defence, putting fear into them, setting up chances and making things happen. Hopefully, we’ll be seeing more of him next season. Linfield played some good stuff at times. Pity it didn’t happen in the four weeks previous. Peter Thompson, in his first start for a while, fired home from close range after a Mark McAllister shot was saved by Glenavon’s keeper to give Linfield a 3-1 half-time lead. Glenavon’s league form has dipped since their Irish Cup Semi-Final win, and it was no surprise that Linfield started the second-half strong, going close through an Aaron Burns header. Peter Thompson soon made it 4-1 before a lovely passing move saw Aaron Burns make it 5-1, the last goal under David Jeffrey. Late on, Glenavon made it 5-2 on 83 minutes. Part of me thought it was going to end 5-5 like the West Brom v Man United game last season. Within minutes of the final whistle, it was confirmed that the new manager will be Warren Feeney, effective from Thursday. Interesting appointment. I wasn’t part of the recruitment process, so i’ll trust the judgement of those who were. Already, there are those mocking his pedigree as Assistant Manager at Salisbury City, who have just finished in the highest league position in their history. Interesting times with a new manager, and a stadium set to be redeveloped. Football is changing and Linfield are changing. It’ll be an interesting era, hopefully, a successful era. One of Feeney’s opponents next season will be Institute, promoted to the top flight today after a 4 year absence. I’ve never been there, so will be looking forward to attending that game. My football watching for the season isn’t over, as I got an Irish Cup Final ticket when in Lurgan today. Linfield wise, the season is over, but it’s just over two months until the UEFA Cup starts. It looks like Linfield will be a seeded team, so hopefully, that will result in a winnable tie. A wee trip to North Wales would be nice. Now is the time to do a Pre-Season Wishlist – Stranraer, Dundela, PSNI, Ards or Bangor, all away. Can’t wait to start doing this all again in July. 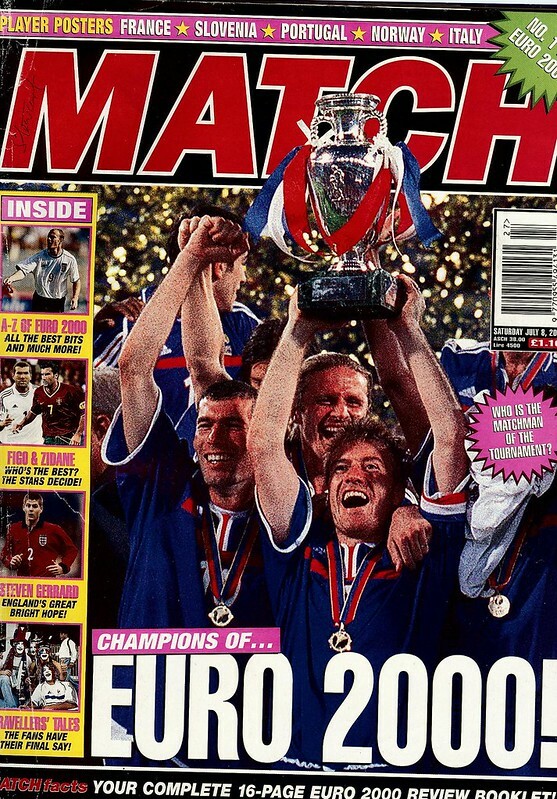 Didier Deschamps of France, lifting the European Championship trophy, is the main cover star of Match, as they review Euro 2000, the first European Championship of the 21st Century. Match goes behind the scenes with BBC 1 show ‘Footy Fever’ as presenters Katy Hill and Matt Smith are joined by Lee Sharpe, to preview the Euro 2000 Quarter-Finals. Patrick Vieira gets interviewed about his favourite music, stating he loves American Rap, and wouldn’t swap his football career for a music one. The final of Euro 2000 gets four pages of coverage, in a countdown diary style, covering from both team’s Semi-Finals on the Wednesday (France v Portugal) and Thursday (Italy v Holland) all the way through to the climax of the tournament on the Sunday night. 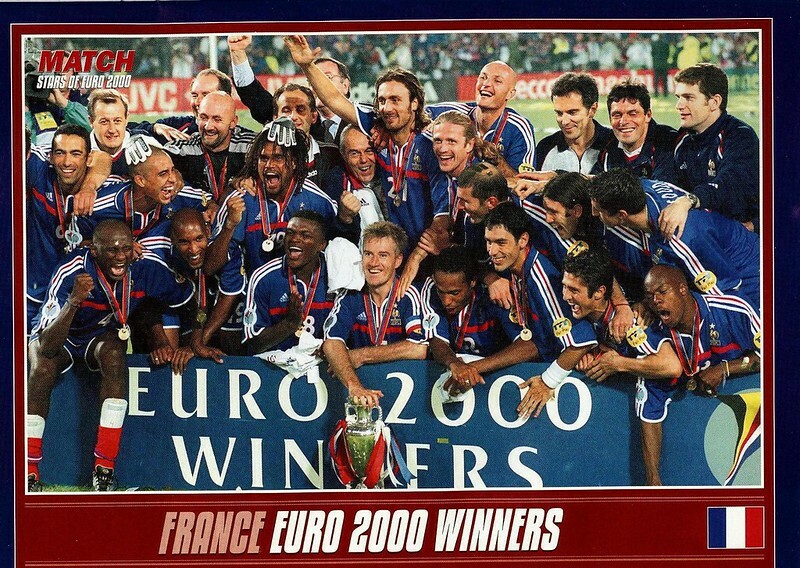 To commemorate the final, there is a poster of the victorious France team. 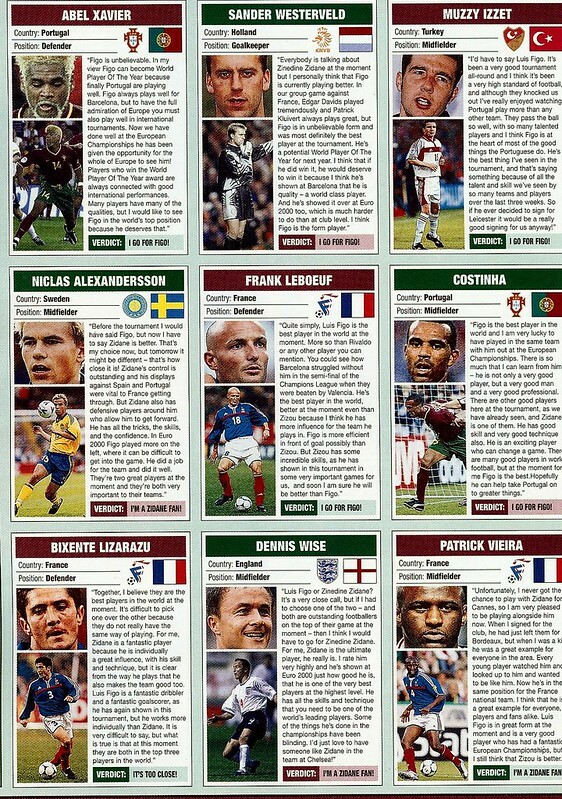 There is also a double page given to the big debate ….. who is better between Zinedine Zidane and Luis Figo, asking players who played in the tournament. Three French players were asked and two Portugese. Unsurprisingly, the two Portugese went with Figo, but only one French player went with Zidane – Bixente Lizarazu abstained and Frank Lebeouf went with Figo. Within a year, both Figo (2000) and Zidane (2001) would make world record moves to Real Madrid. In this magazine, Figo admits he’s a big fan of the Premier League, and would love to move to England at some point in his career. Match does an interview with Steven Gerrard, playing in his first major tournament at the age of 20 having just broken into the Liverpool team, where he mentions that he would like to be England captain one day. Well, I think that’s that officially over, if it wasn’t already at kick-off. The worst thing about it? We went down without a fight. Kicking-off three points behind Cliftonville, there was hope. Cliftonville had a tougher run-in and faced away games at grounds they drew at earlier this season. If you watched the game, you wouldn’t have thought Linfield were chasing the title. It was slow and lethargic with no urgency. Any time Linfield went forward, the attacks lacked urgency, allowing Glentoran to regroup and position themselves to make it hard for Linfield to break them down. It really was training ground stuff for Glentoran. The most glaring observation is the lack of spatial awareness in the team. Players running into trouble, rushed passes under no pressure, conceding corners and throw-ins that could be avoided. No team has a divine right to win every match, but if you do the basics, you have a better chance. This was the sort of game where the first goal would be crucial. If Linfield got it, it would be a comfortable enough win. If Glentoran got it, it would be a long afternoon. Half-time arrived and it was 0-0 at both Windsor Park and Shamrock Park. In an age where news travels fast, in a situation where two teams are playing simultaneously, it is essential to go in front first. Hopefully, we would be seeing a better performance in the second-half. The half began with a substitution, Ross Clarke on for Aaron Burns. Not too unhappy about that, i’d been hoping to see more of Ross Clarke this season. Not everything Clarke did came off, but at least he was trying to make things happen. In the absence of Niall Quinn, Burns should have been starting at left-back. I’m not a massive fan of making 2/3 changes to accommodate 1 player, but moving Sean Ward to left-back is exactly that. If that is to happen, why not have a player who can play that position? Just short of the hour, a goal came, but it was for Glentoran. A Linfield attack didn’t come off, and a long ball upfield saw Danny McKee run through on goal. Everybody knew a Glentoran goal was seconds away. It was too easy. Every Linfield attack that broke down was too easy for Glentoran. They weren’t being forced to make last ditch tackles. They were just able to outmuscle their opponents. Unforgivable. Like against Cliftonville last month, there was nobody taking the game by the scruff of the neck to try and change it. Glentoran fans rubbing it in, and nobody hurt enough to try and change it. After the Cliftonville defeat, if Cliftonville were to win the league, it should have been because they won their last four games. They only needed three wins. We basically handed it to them. Only one game left for Linfield this season, away to Glenavon. I got a ticket last week, so i’m stuck. While there, i’ll try and get a ticket for the Irish Cup Final. It would be a novelty to go without actually caring about the result. The night before, is the provisional date for the 2nd leg of the Promotion/Relegation Play-Off. If the game actually happens (Depends on the final table in The Championship) and the tie is alive after the 1st leg, i’d be tempted to go to the game at Clande Bangor Fuels Arena, just to see how it works after redevelopment. Unless something dramatic happens, that will be my football watching for the season. Talking of redevelopment, Windsor Park is getting redeveloped. Today, was the last Linfield game in the South Stand as we know it. I’ve already seen it remarked on social media that it was appropriate that Linfield should give people something to moan about on it’s last ever game. There were some in the stand today who probably attended the first ever game in the stand in 1929. I forgot to post a link to it at the time, but there was a blog worth reading in August 2013 about Windsor Park, written about Glentoran’s last visit there, earlier this season. The title, Chasing Archie, refers to Archibald Leitch, an architect who designed a lot of the UK’s most iconic football stadiums, as well as Dalymount Park and Lansdowne Road in Dublin. So, time for a pre-season wishlist. Playing in the UEFA Cup makes arranging weekend friendlies hard, but my wishlist is : Dundela, PSNI, Ards or Bangor, Stranraer, Brantwood – all away, mainly to visit grounds I haven’t been to, or been to for a while. It’s over. It’s not mathematically, but realistically, it’s over, as Linfield dropped two points at home to Portadown. The game began differently, with Linfield attacking the Railway End in the first-half for a change. I usually like to sit at the end where Linfield are attacking, so I headed over to the South Stand. Had to be quick, as Linfield scored after 18 seconds of their last meeting with Portadown. Linfield started well, having a Callacher header cleared off the line and a Waterworth header hitting the bar. The early goal didn’t come and the game deteriorated for the rest of the first-half with Linfield not creating anything and Portadown looking more threatening when on the attack. Worst thing is, it wasn’t “Resolute defending” from Portadown that was denying Linfield, it was a lack of creativity, picking the wrong pass and just playing long balls forward, meat and drink for Portadown’s defence. Towards the end of the first-half, Linfield had some pressure. 44 minutes is a bit late to start looking lively. Linfield came out for the second-half a better team and scored within 58 seconds when the ball went out wide to Aaron Burns, whose cross was turned in by Michael Carvill. The vital breakthrough, should have been the moment to push on and kill the game. Even though Portadown weren’t really offering much in open play, 1-0 was still a dangerous lead, and so it proved. A long range free-kick from Chris Casement was punched straight to Darren Murray by Johnny Tuffey, and he couldn’t miss from close out. The third such mistake (after Crusaders and Ards in January) that has cost Linfield points this season. That’s six points Linfield couldn’t have been better off. All three mistakes were basic and inexcusable. I’ve tried to give him the benefit of the doubt and back him, but there’s only so many points costing mistakes that can be made before the recruitment of a new goalkeeper in the summer becomes a viable suggestion. At this point, 74 minutes were played, and Linfield still had made no subs. David Jeffrey once again being reactive rather than proactive with his subs. When the subs came, it was a right-midfielder for a right-back and a striker for a midfielder. Quite what formation Linfield were playing was anyone’s guess. Looked like 10-0-0 when Portadown attacked, 0-10-0 when the ball was in midfield and 0-0-10 when the ball was in Portadown’s defending third. The shape was so bad, Matthew Tipton was lucky (from where I was sat) not to be sent-off for a professional foul on the edge of the box ……….. in left-back position. What saved him was the wide position he was in. Despite so many attacking players on the pitch, Linfield never looked like scoring, which is quite damming. The only may you could see a goal was if there was an own goal or a lucky bounce. It almost happened when a Portadown defender headed against their own post from a cross. From the rebound, Matthew Tipton couldn’t put the ball in. If the title was unlikely at kick-off, it was impossible come full-time. Admittedly, Cliftonville dropping points at Portadown and Crusaders isn’t beyond the realms of possibility, especially as they have drawn both visits there this season, but realistcally, it’s not happeneing. Worst thing is, this was a title thrown away. A chance to kill off Cliftonville in November, not taken. A chance to kill off Cliftonville in February, not taken. A chance to kill off Cliftonville in March, not taken. A chance to kill off Portadown in the match today, not taken. There’s a recurring theme here. So, two more games to go, got to win and hope. Same situation as last week. Unfortunately, we’re hoping Cliftonville slip up twice instead of once.